Village Brewery Taproom – 5000 – 12A Street SE. Live Music by local favourites Aktivate, Powerhouse Band and more…. 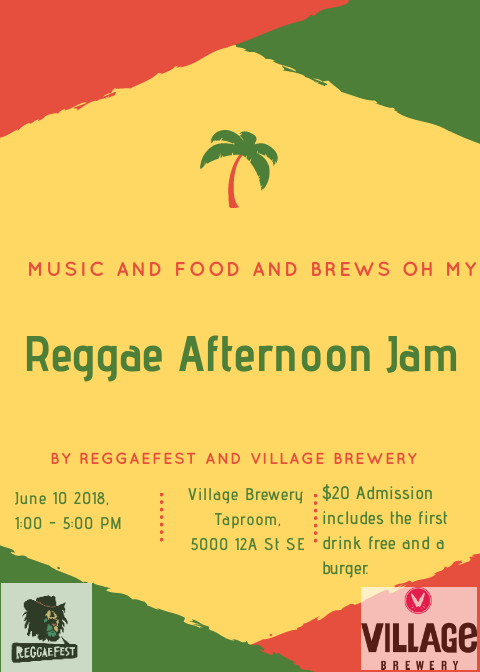 Presented by Calgary Reggae Festival Society and the good folks at Village Brewery.